New England Patriots wide receiver Julian Edelman warms up before an NFL football game between against the Indianapolis Colts in Foxborough, Massachusetts, Oct. 4, 2018. 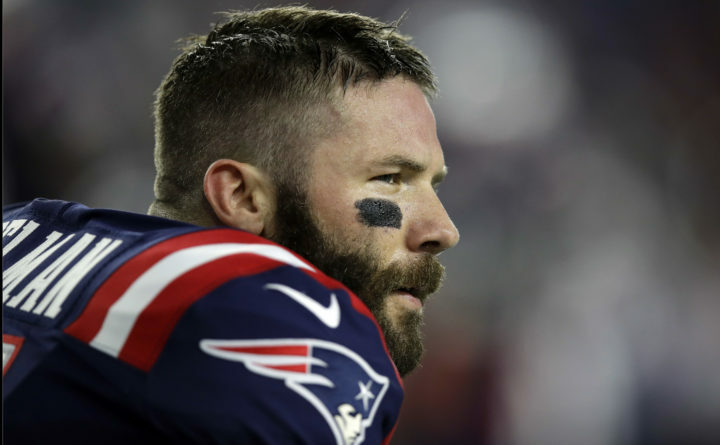 Edelman expressed his support for the victims of a Pittsburgh synagogue shooting while wearing an Israeli baseball cap when he spoke to reporters after Sunday night's game. FOXBOROUGH, Massachusetts — New England Patriots receiver Julian Edelman expressed his support for the victims of a Pittsburgh synagogue shooting while wearing an Israeli baseball cap when he spoke to reporters after Sunday night’s game.